Greenland, exiled way out to the northeast, is often sorely overlooked. As the largest island and the least densely populated country in the world, its vast wildernesses afford adventurers unspoilt views of plunging fjords and breathtaking mountainscapes as a backdrop to the dazzling Northern Lights display, refracted by giant glaciers oozing over craggy landscapes. 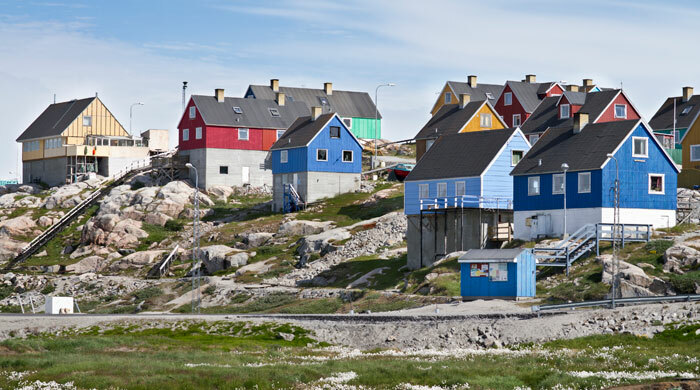 Ilulissat, Greenland’s third largest city – population 5,000 – swaps people for stunning scenery, having originally been established in the 18th century as a Danish trading post. Located on the island’s western coast, Ilulissat is set in the centre of the aurora belt making for excellent chances to spot the dazzling greens and swopping reds. It’s perfectly explored with nighttime cruises among icy fjords, hopefully bathed in the hypnotising ballet. Or, simply stroll through the town and direct your eyes upward – you've got just as good a chance to spot the illuminations. 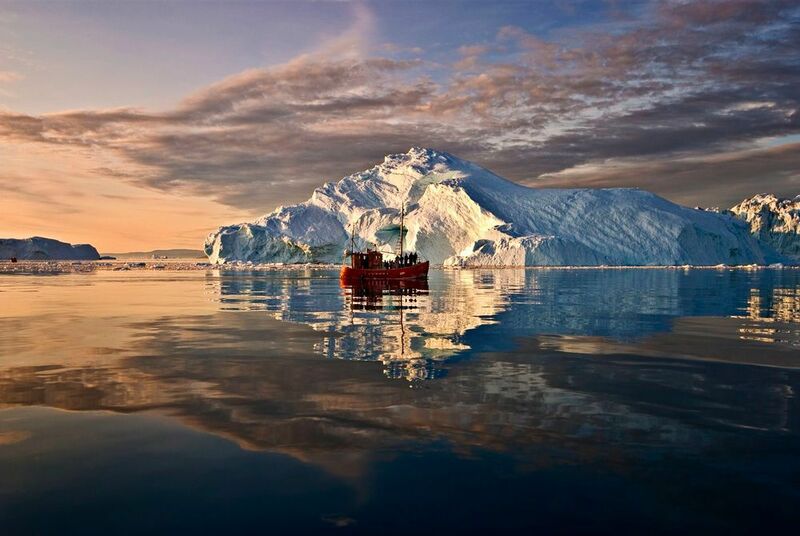 And, thanks to a lack of rain and low wind levels, Ilulissat enjoys stable conditions meaning increased reliability. Perhaps stay in the ultra-cosy aluminium igloos of Hotel Arctic right on the shoreline – the perfect launchpad for polar exploration by dogsled, iceberg cruise or wintry hike to ice-filled fjords. The Ilulissat Icefjord is a UNESCO World Heritage site and home to the Northern Hemisphere's most productive glacier – paired with the glowing display of the Northern Lights and colossal icebergs, it’s an extraordinary photo opportunity. Further south, lights viewing is paired with significantly less of a chill. Days can be spent days hiking or sailing through picturesque farmlands and ancient settlements, with the small ecological footprints of quintessential Greendlandic towns and and tiny settlements meaning light pollution is virtually nonexistent. As with most northern viewing sites, you’ll find the aurorae at their brightest between September and April. But for the best Greenland Northern Lights holiday, look to the winter months from January onwards, when nights are at their longest and clearer, rain and cloud-free skies maximise chances of spotting the displays. However, you can also spot them from late summer going into early autumn too, when warmer climes and longer daylight afford opportunities for hiking and kayaking, with mountain trails splashed in glorious orange shades, before a night of hunting the lightshow.